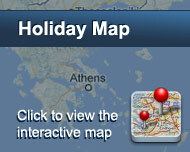 This small complex of holiday apartments is situated just a few metres from the famous sandy beach of Agios Prokopios. This complex consists of well equipped studio apartments and 2-bedroom apartments, all of them on the 1st floor and with magnificent beach/sea views. All the rooms are very spacious and are tastefully decorated to create a warm and relaxing atmosphere. Each room has a private balcony or veranda, so you can soak in the tranquil view. Services include pizza restaurant, breakfast, reception lounge, transfer to/from the port /airport and parking. Naxos Colosseo is the ideal accommodation for every tourist, due to the modern room amenities and the integrated hotel facilities it has to offer. Είστε ιδιοκτήτης ή διευθυντής στο COLOSSEO APARTMENTS; Εγγραφείτε τώρα για δωρεάν εργαλεία, που μπορείτε να χρησιμοποιήσετε για να βελτιώσετε την καταχώρησή σας και να συνδέσετε την ιστοσελίδα σας και το σύστημα κρατήσεών σας.